Publicist Heidi Robinson-Fitzgerald said in a news release that Manzarek died Monday at the RoMed Clinic in Rosenheim, Germany, surrounded by his family. He had been stricken by bile duct cancer. Manzarek founded The Doors after meeting then-poet Jim Morrison in California. The band went on to become one of the most successful rock 'n' roll acts to emerge from the 1960s and continues to resonate with fans decades after Morrison's death brought the band to an end. The Doors sold more than 100 million albums worldwide on hits like "Hello, I Love You," "Riders on the Storm," "Light My Fire," and "Break On Through to the Other Side." 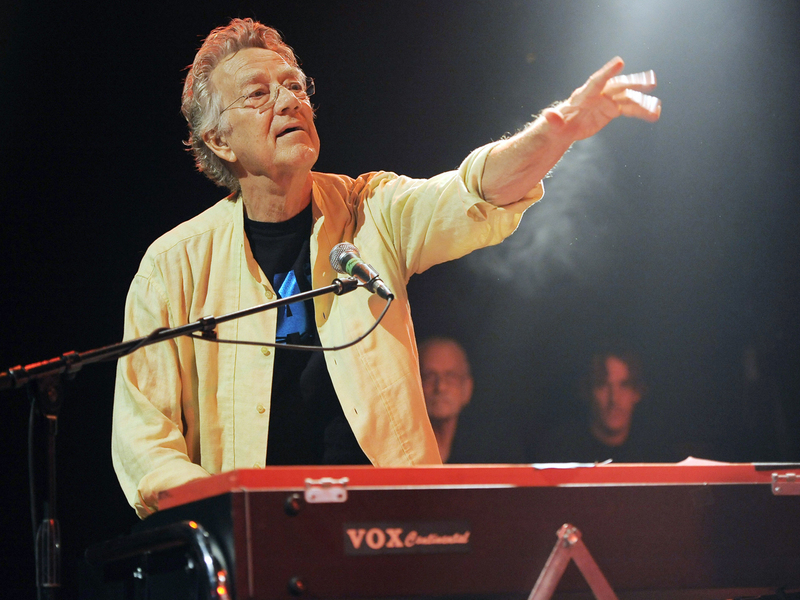 Manzarek, a Chicago native, continued to remain active in music after Morrison's 1971 death. He briefly tried to hold the band together by serving as vocalist, but eventually the group fell apart. He played in other bands over the years, produced other acts, became an author and worked on films. The Doors were inducted into the Rock and Roll Hall of Fame and Manzarek is among the most notable keyboard players in rock history. His lead-instrument work with the band at a time when the guitar often dominated added a distinct end-times flavor that matched Morrison's often out there imagery and persona. Morrison and Manzarek met at UCLA film school and ran into each other in Venice a few months after graduation, Manzarek recounted in a 1967 interview with Billboard. Outwardly the two seemed so different. The strikingly tall, dark and handsome Morrison looked the part of rock star, while Manzarek, with glasses and comparatively close-cropped blonde hair, retained a more professorial look. Inwardly, though, they were kindred spirits, as Manzarek discovered when Morrison read him the lyrics for a song called "Moonlight Drive." The band would make far more than that. The Doors, which also included guitarist Robby Krieger and drummer John Densmore, has sold more than 100 million albums and their music has been re-released and repackaged multiple times over the years, been featured prominently in movies and holds an oft-debated place in rock history. Manzarek and Krieger reunited to tour as The Doors in recent years. While Morrison, with his proto-celebrity lifestyle and tragic end, forever will remain the face of The Doors, you could argue Manzarek's keyboard work was every bit as important and helped balance some of the singer's more over-the-top moments. His creepy organ line on "Light My Fire" adds a weirdo menace to what outwardly is a rock `n' roll pick-up song. And his after-hours, lounge style on "Riders On the Storm" transforms that song into an epic unlike anything else the band ever did. Manzarek was portrayed by Kyle McLachlan in the 1991 Oliver Stone biopic, "The Doors," and wrote a best-selling memoir about his experiences, "Light My Fire: My Life with The Doors," in 1998. Manzarek is survived by his wife Dorothy, son Pablo, and three grandchildren. In lieu of flowers, family members ask that donations be made in Manzarek's name to Standup2Cancer.org.